The sculptural art of the Dorset people includes numerous and varied representations of animals, humans, and spirits. Depictions of long, narrow faces with heavy brows, sometimes with an apparent beard or headgear, have been noted in the past as possible portraits of Europeans. 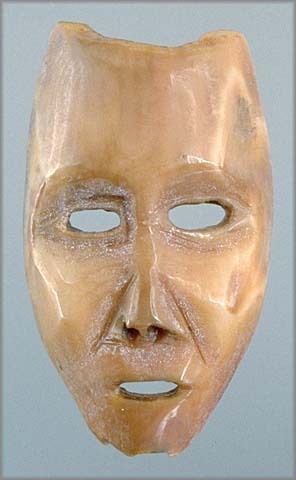 This interpretation seems more credible when these carvings are associated with products of mediaeval European technology found at Dorset sites along the coasts of Baffin Island and Labrador. This classic Dorset depiction of a face comes from an early site. 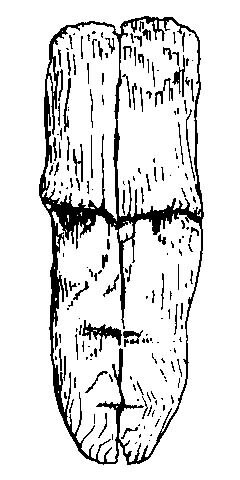 It contrasts with the European-like faces sometimes portrayed in later Dorset carvings. This portrayal of a long face with what appears to be headgear may represent a European. 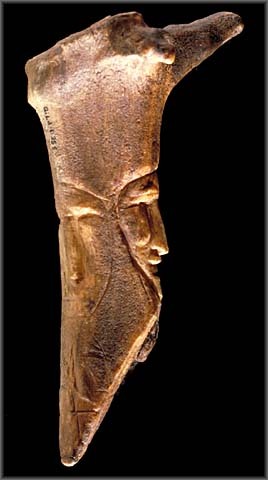 This broken carving of a face with a long nose and what appears to be headgear may represent a European.